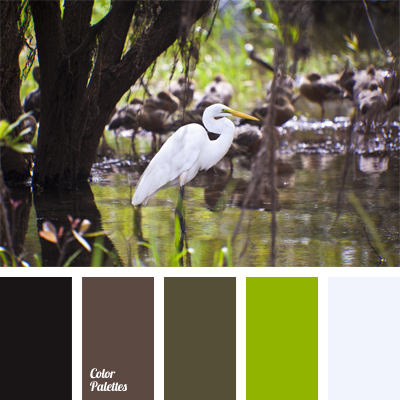 This “swamp” palette with a balance of green-gray-black colors does not look dull thanks to the bright green and white-blue shades. 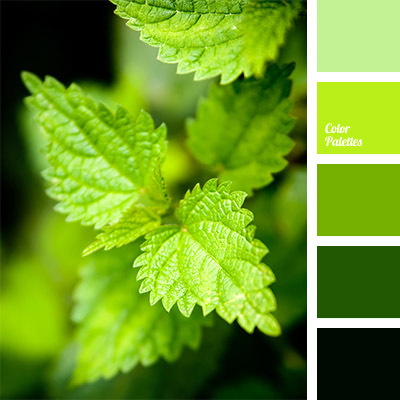 This combination is suitable for interior of large space premises – living room, kitchen, office, as well as for decoration of cafes, canteens, restaurants or bars. 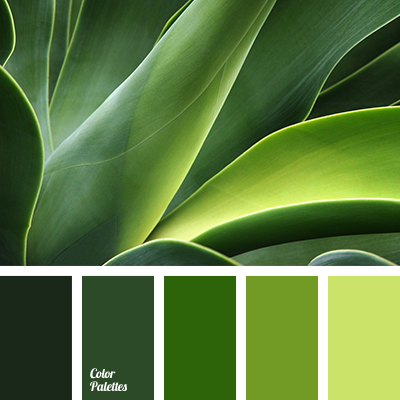 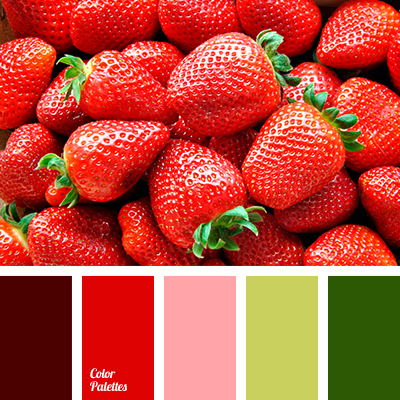 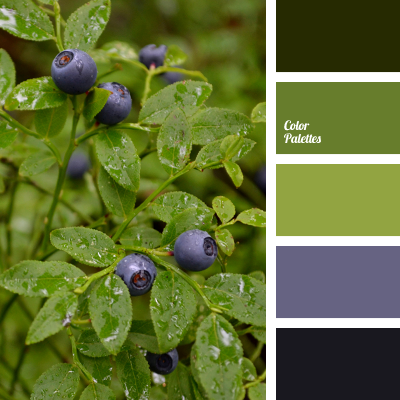 black, brown and green, Brown Color Palettes, color matching, color solution for interior, dirty white, dirty white color, green, light green, marsh color, palette of marsh colors, shades of green, swamp palette, white color with a hint of blue.